Request a budget of locks adapted to notchs of other manufacturers. Send us the existing notch in the glass Securit door and tell us how you want to close the door. 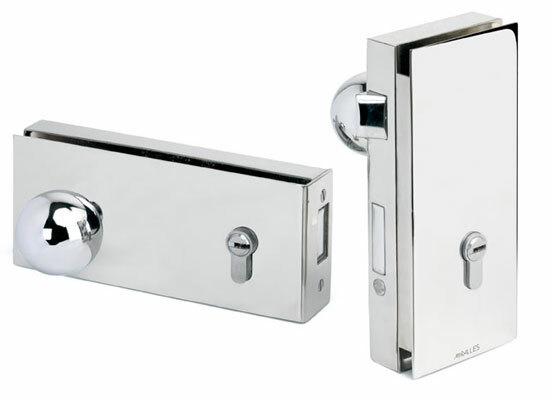 MIRALLES manufactures to you the special lock.